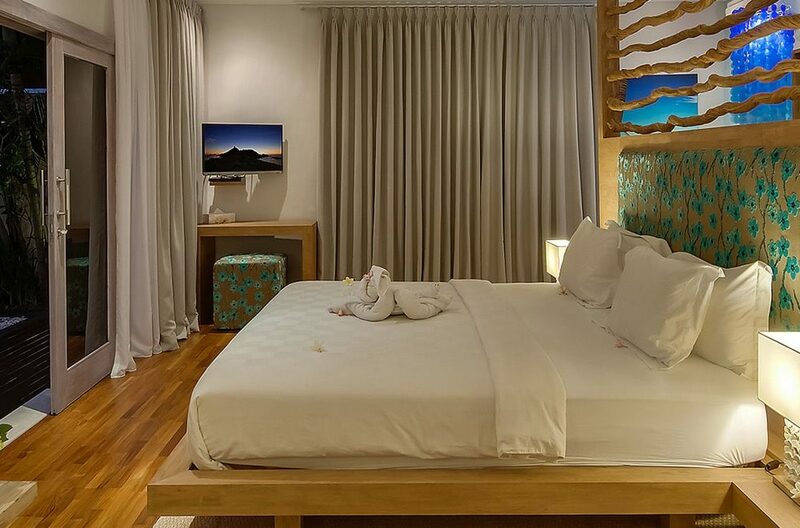 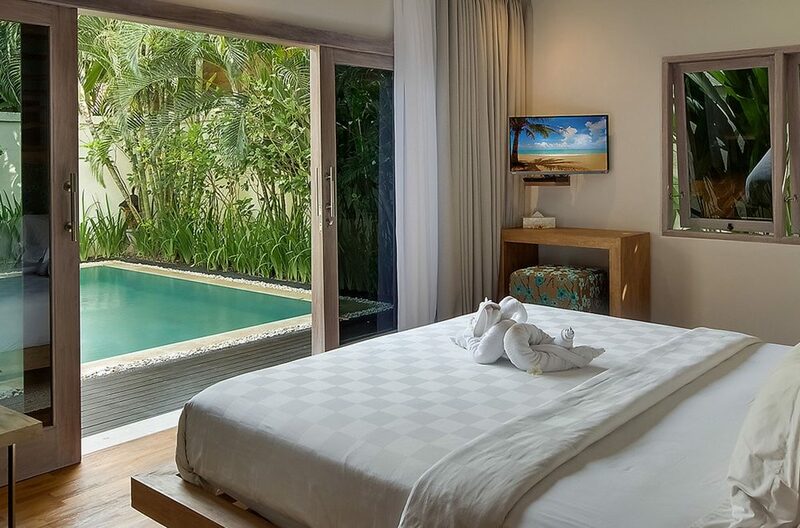 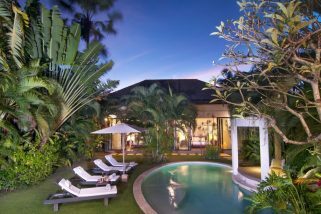 The pool Villa Sky is found tucked away in the exclusive and private 4S Villa Estate at Seminyak Square. 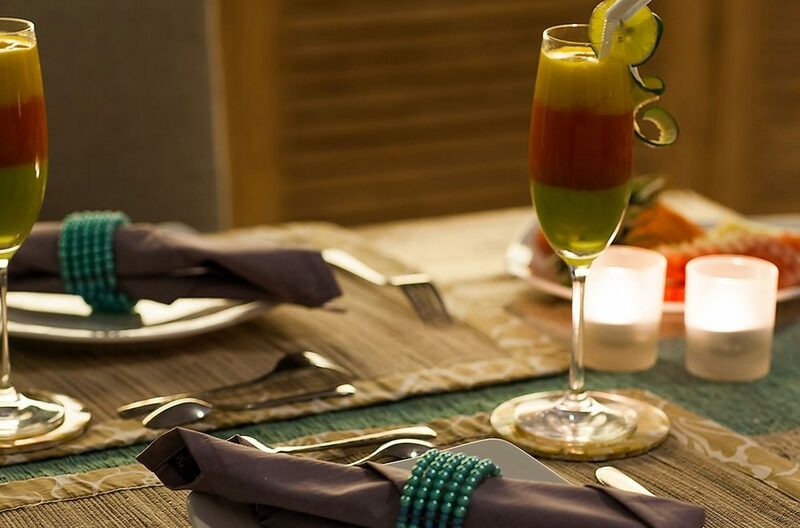 The one bedroom villa is conveniently located on the doorstep of Oberoi Street. 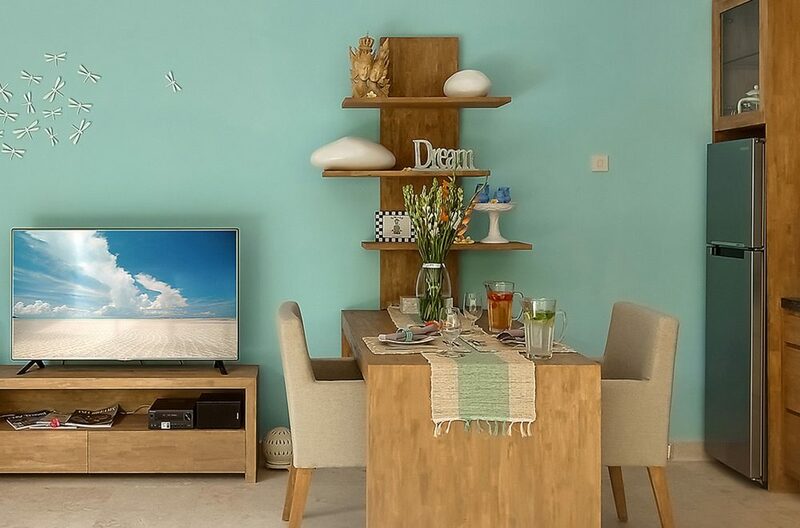 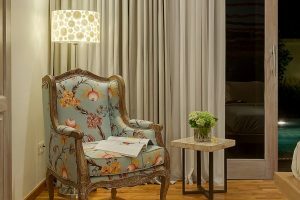 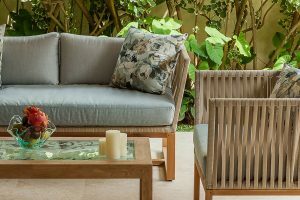 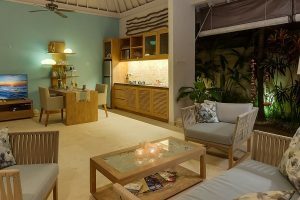 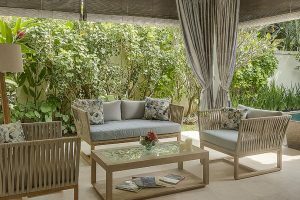 The living room comprises a Balinese sofa with cushions, a reading chair, coffee table, dining table for four and a fully-equipped kitchenette with stove, oven, fridge, blender, toaster and microwave complete the furnishings. 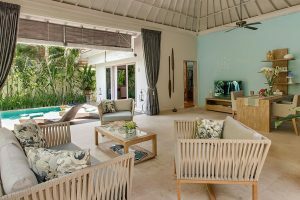 The open plan layout allows tropical sea breezes to fill the living area and the private swimming pool is boarded with tropical gardens and a timber sun deck. 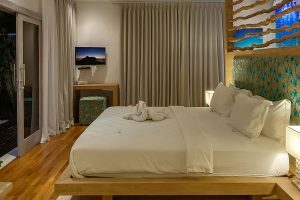 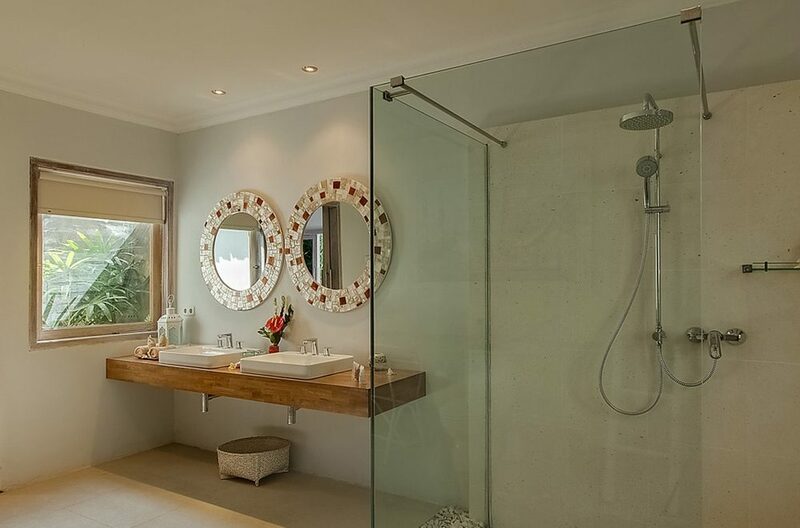 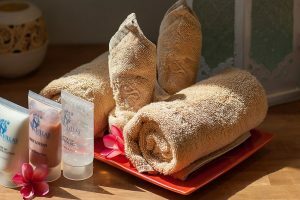 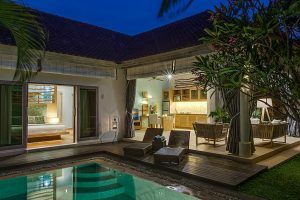 The villa houses a large king sized air-conditioned bedroom equipped with an en-suite bathroom with shower and bathtub, 42″ flat screen TV, DVD player and sound system with iPod connection. 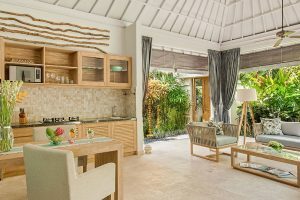 Housekeeping and villa maintenance are pleased to serve and maintain a well-run household providing support delivered with grace and tradition Villa Sky’s manager and team are more than happy to address any questions or inquiries guests may have in order to ensure your stay with us as smooth and enjoyable as possible. 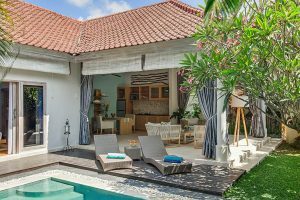 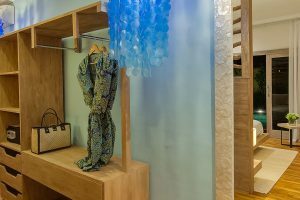 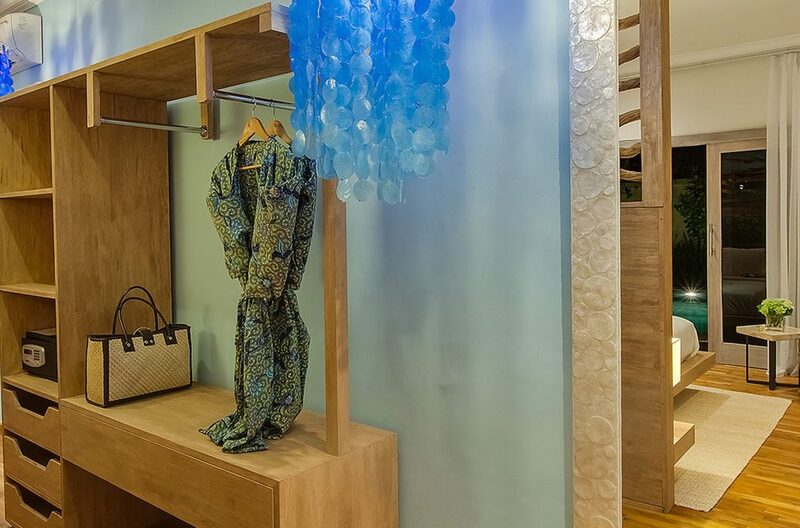 Villa Sky is located in a very quite tiny lane, the best location that Seminyak has to offer, adjacent to Seminyak square, Ultimo, Mykonos, Grocer & Grind and within 500 meters to Ku-De-Ta Beach. 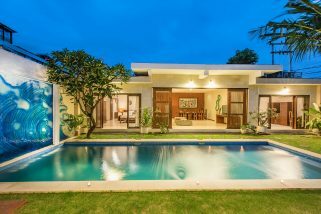 Indulge your senses at Villa Sinta, a sleek two storey modern villa with scenic swimming pool views located in the center of glamorous Seminyak. 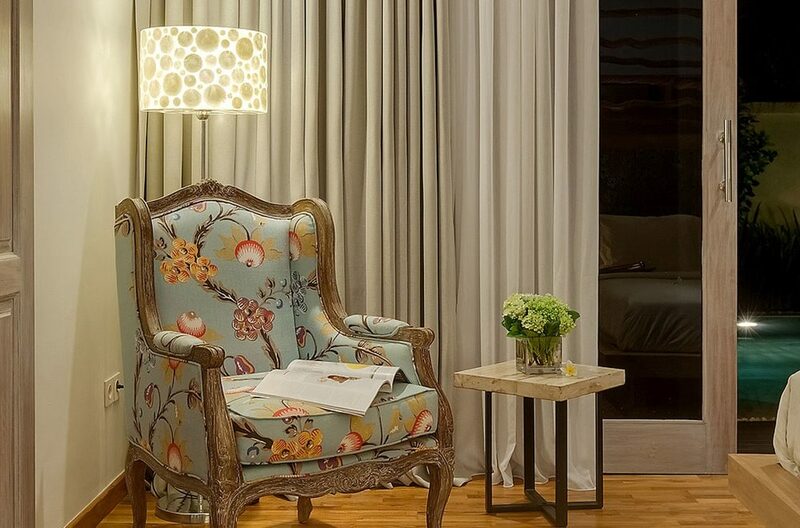 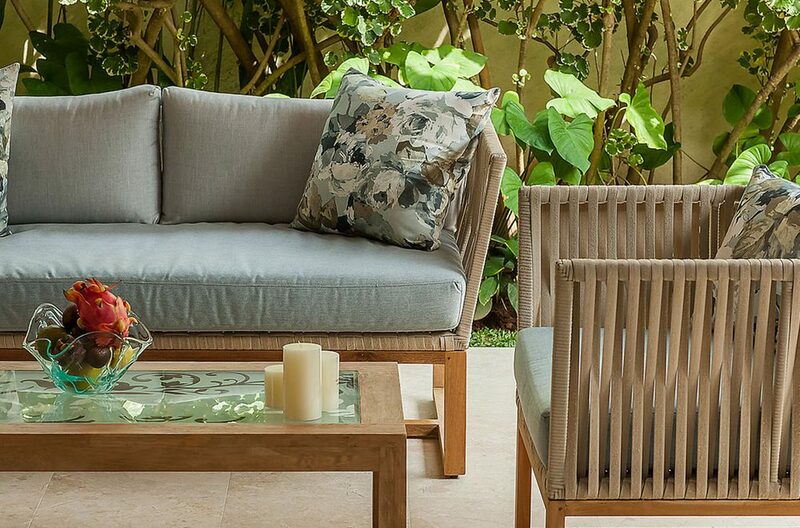 Luxurious furnishings indoors and out, along with a relaxing atmosphere contribute to this being not your usual villa. 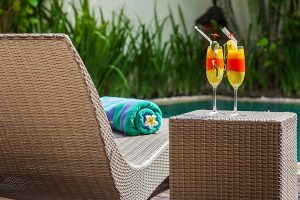 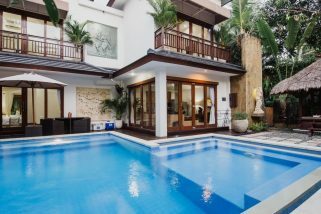 Top value holiday 3 bed Villa in central Seminyak, Unbeatable value for money, book now! 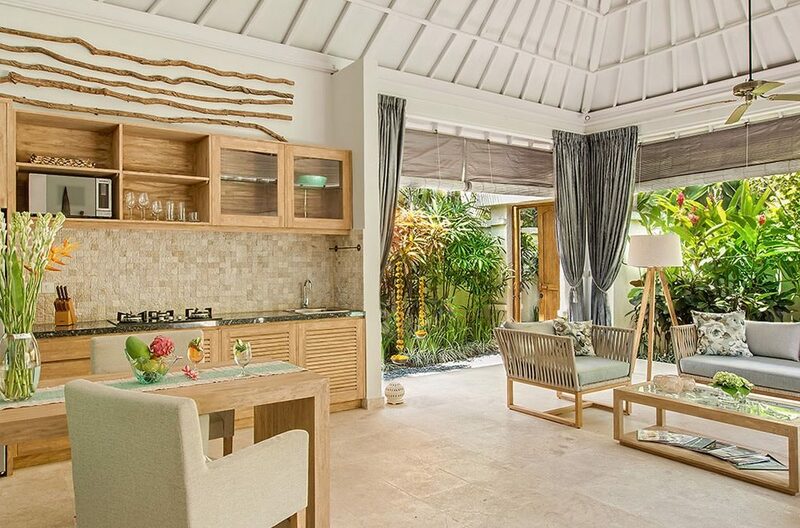 This two bedroom private pool villa offers lush tropical gardens with spacious open-air living areas and best of all is the location.